Equipped with handpicked architectural items from The Corbel, every inch of this place is gorgeous and FUN-CTIONAL! It's okay to imagine yourself floating around in that pool - we definitely are - and what a view! Let's start in the living area. 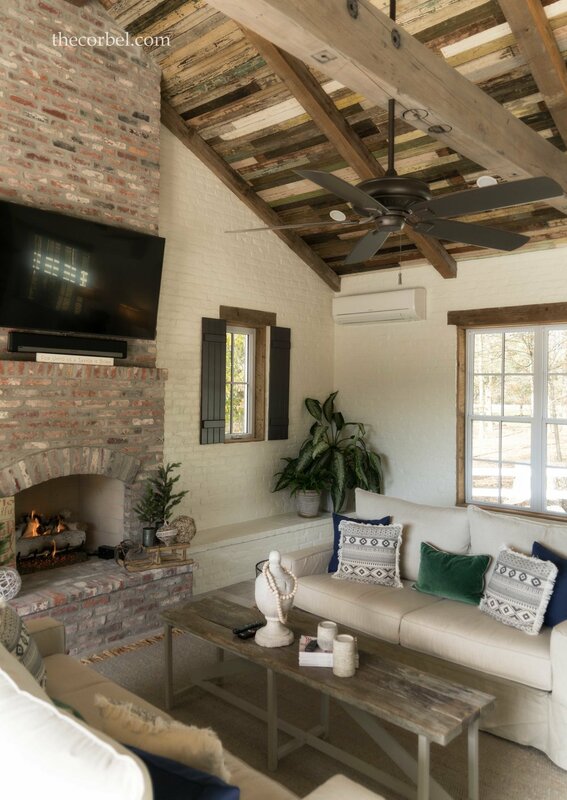 Imagine a full day out by the pool, a fresh sunburn and a little lounging under these gorgeous ceilings. Flip that fan on and a movie and that's summer, folks! 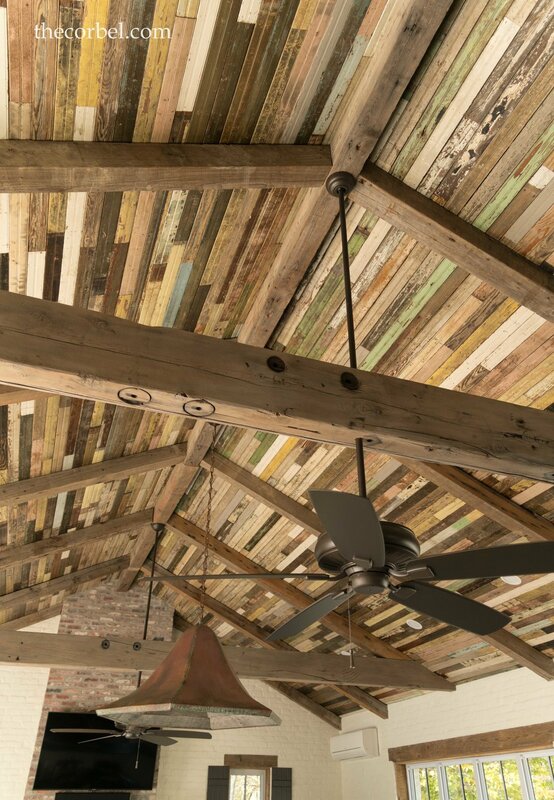 Antique beaded board in assorted colors and reclaimed beams are displayed from one end of this beauty to the other. Head on over to the dining space and have a seat under that fabulous antique copper pendant! 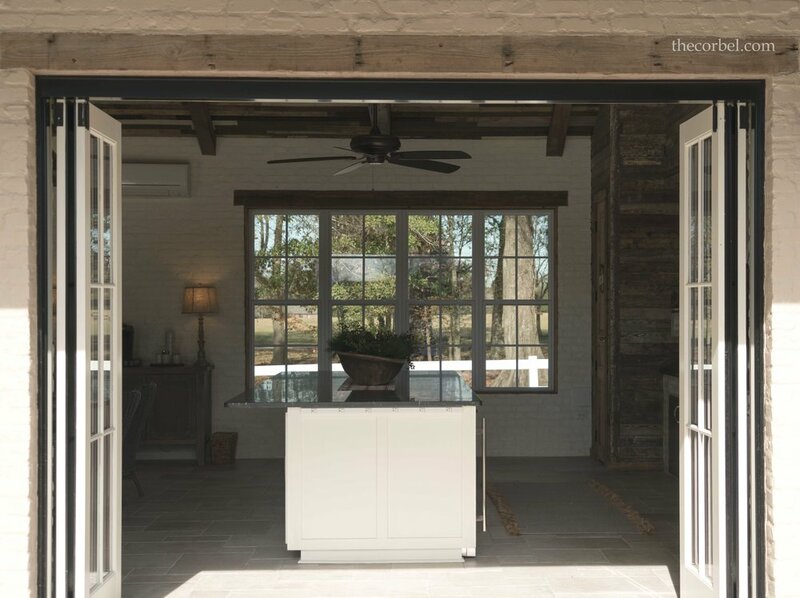 What's a luxury pool house without a state of the art outdoor kitchen?! Digging those sweet door handles? We have them at The Corbel - check out our selection on your next visit! A pool house without a place to change into your swimsuit? Not this beauty! 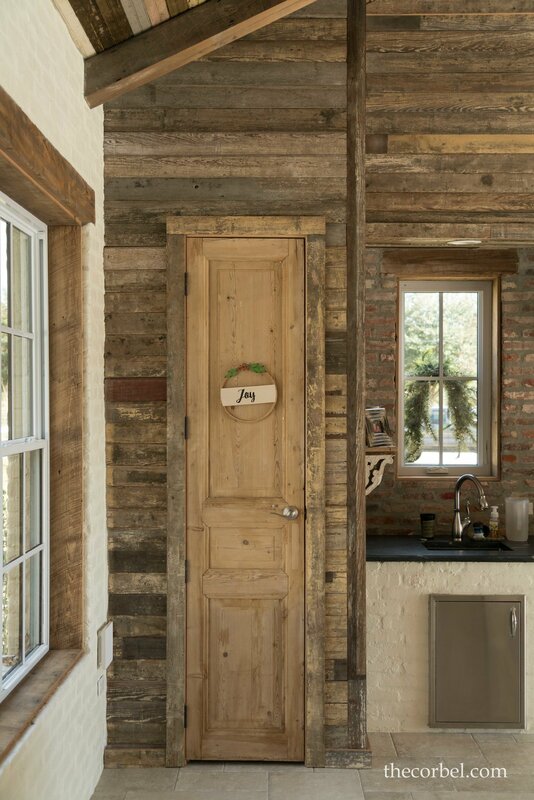 How about the cutest water closet equipped with a reclaimed antique door picked right from our warehouse! Well, we hate to swim and run but this daydreaming has to end. Interested in having your own pool house or outdoor space built? We'd love to talk to you about it!